Two styles to choose from, Fancy cresting, Fancy color combinations, Shield cut feathers, Classic Bohning Nock, full length premium Port Orford Cedar or Pine Wood Shafting. Designed by the head of our arrow building department. 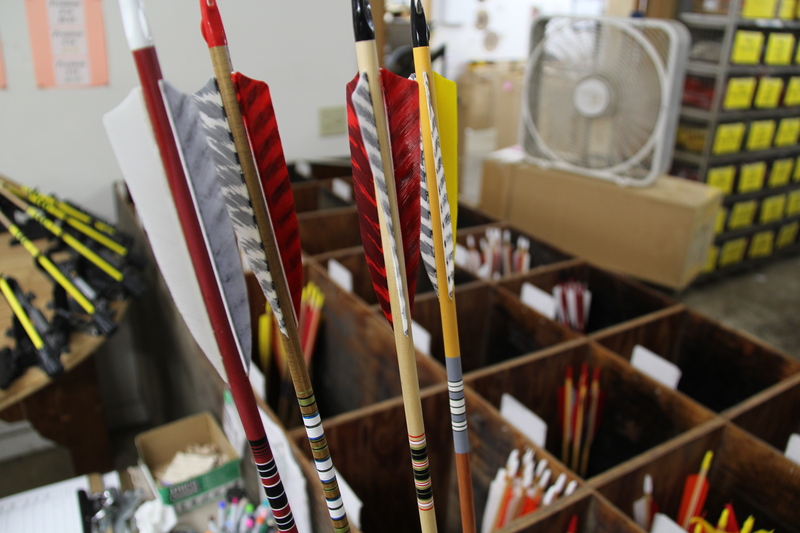 These arrows have special designed cresting, color and feather combinations.